The true meaning of love lies in the heart that are bound together. When you are in love, it becomes your desire to make that someone special feel happy always. 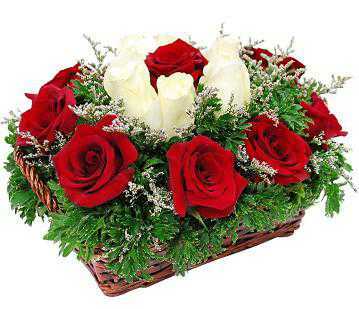 This exclusive basket of 16 Red and 1 White Roses surrounded with seasonal fillers looks ravishing and soothing. This gift will make you fall in love again.